What would make for the best kind of wound care dressing? Something that would not only help heal your cuts and burns quickly but something that the body could produce naturally as well. That is where collagen comes in. Collagen is the single most abundant protein in the body. It makes up 25% to 35% of the whole-body protein content and is seen throughout the body, from muscles, bones, the cartilage in our ears and most importantly our skin. Collagen is the main protein in the skin that is responsible for not only the elasticity of the skin but is also a key component in wound healing, making it the best option to be used in wound care. But how does it work? Type III Collagen: The fibrous protein in bones cartilage, tendons, dentin, and other connective tissues. Using a collagen dressing is a great way to help the healing process of the wound. It is important that healing is quick and as effective as possible. That is why the right dressing is important. The type of dressing depends on different factors, including what type of injury, size, location, and severity. Re-epithelialization: Moves epidermal cells from the edge of the wound to the center, helping with new skin formation. They are suitable for use on granulating wounds and wounds that are chronic or takes a while to heal. A collagen dressing can help revitalize the healing process. Collagen dressing comes in a variety of forms and used in a variety of ways. Collagen comes in pastes, powders, pads, and gels. Pads and gels being the more popular forms used especially for self-care. Ropes are also available but those are used mainly for deep cuts and lacerations. The type of dressing used is dependant on the wound, its size, and location. Impregnated hydrogel: Usually placed on a gauze pad, sponge or strip. Remember to only use this gel with dry wounds. You don't want to use this gel on wet and already moist wounds. Collagen ropes are used mainly to pack deep wounds and lacerations. The collagen ropes are packed in tight within the wound and then quickly absorbed by the body. Having the healing start within the wound can help speed up the healing process. These wounds are then usually covered with a collagen pad to help heal the skin around the wound. Pads are used mostly on the actual wound themselves. They are more versatile and can be cut and sized to fit any wound. Most dressings are absorbed into the body and will not need to be changed. Modern medicine is incredible. They have taken the healing effects collagen and the ability to fight bacteria from silver and have combined both of them for a new approach to wound care. Silver has been widely used to combat bacterial growth in wound care due to bacteria being much more sensitive to silver. Unfortunately, too much silver used can be bad for healthy cells. So you must be careful when using it as wound care. The key is to find the right formula. 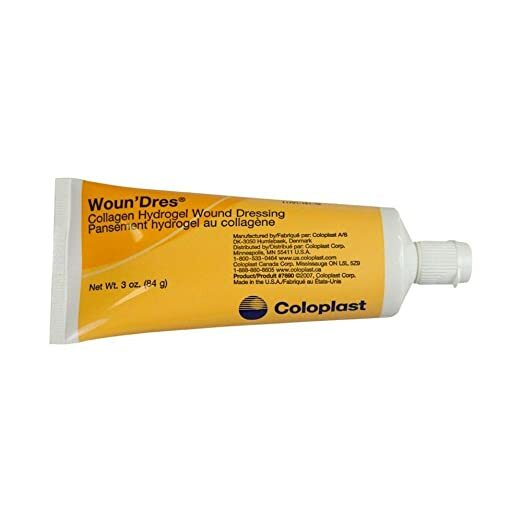 Alginate dressings are best used for draining wounds or wounds with an excessive amount of fluid. Alginate dressings are dry when placed on the wound, and become a more gel-like substance as the dressing absorbs the fluid from the wound. A secondary bandage would be needed to wrap over an alginate dressing. Alginate dressings need to be changed periodically. It is recommended to use a saline solution when removing the dressing to keep from damaging the healing skin around the wound. 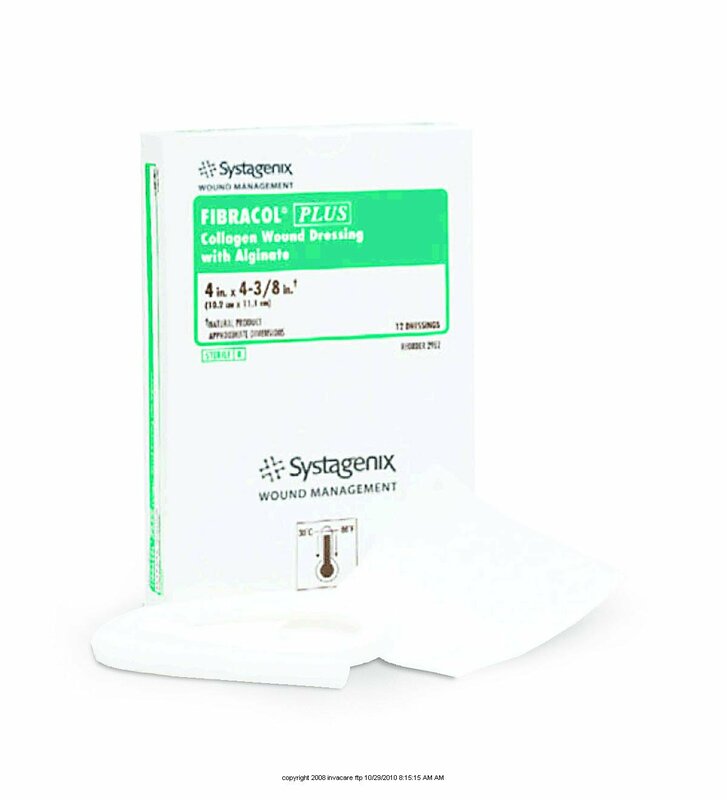 Fibracol combines collagen's structural support and the gel-forming properties of alginate into a comfortable, soft, and absorbent dressing. Best used on venous ulcers, diabetic ulcers, and full thickness pressure ulcers. Woun'dres Hydrogel is a clear gel. It contains collagen and panthenol that work simultaneously to stimulate tissue growth and maintain an appropriate moisture level. Woun'dres does not have propylene glycol which is found in other hydrogels. Has a two-year shelf life so it will be available the next time you need it to get the healing that you need. Works for all types of wounds. Tegaderm Alginate Ag dressing is available as a pad or rope. It is an antimicrobial highly absorbent wound dressing that is made up of sterile calcium alginate, ionic silver complex, and carboxymethylcellulose. The dressing release antimicrobial ionic silver when it comes into contact with the wound. This process effectively reduces the bacteria growth, including antibiotic-resistant MRSA and VRE in the wound. Depending on the type of injury or wound you may need to seek medical attention. If it is a treatable wound that you can care for yourself, follow these few steps to ensure you are on the path to healing. Different dressings work better for various wounds. The steps to follow could vary as well. For example, some bandages will not need to be removed; saline may be necessary to prep the area instead of water, etc. If at all possible, have a medical professional show you the proper way of applying the dressing for the first time. You would first wash your hands and the area around it, disinfect the wound. Then if possible put on some disposable gloves. If the wound is still bleeding, gently put pressure on the wound. Rinse the wound with water and then put antibiotic cream on the wound. Carefully wrap or place the dressing on the wound. Some collagens require a secondary dressing to cover it. The frequency of changing the bandages can vary from daily to every seven days. It is amazing how the body has natural healing capabilities. Now combine that with modern medical advancements - the wounds are healing faster, less scarring and with less serious risks of infection. So next time you look for a bandage to treat a cut or wound, look for one that contains collagen. You will be amazed at the results.